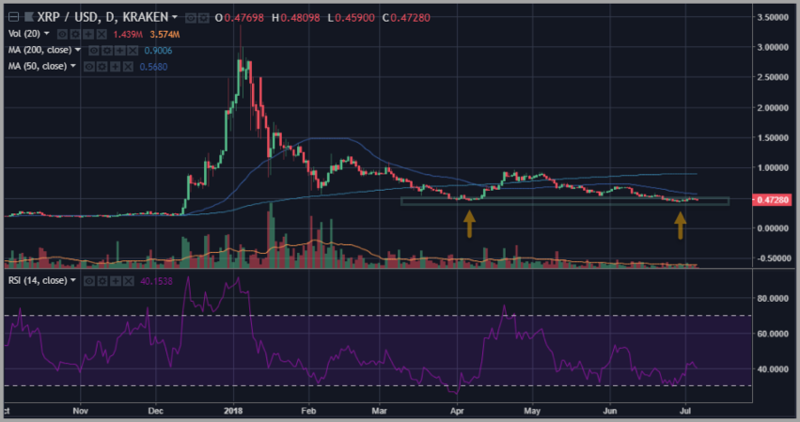 Home Bitcoin News Do the Technicals Make a Fresh Case for NEO and XRP Exposure? 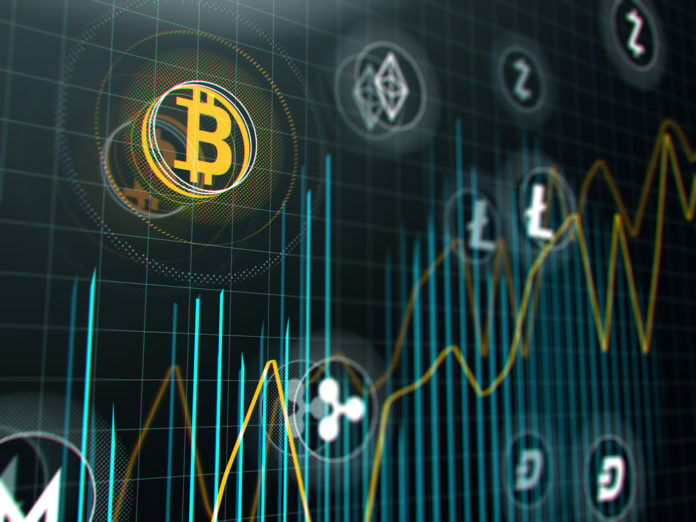 The landscape that defines the cryptocurrency complex, in a very broad sense, according to our research, is that of a late-stage bear market. Think of the NASDAQ in 2002. We may well be seeing a whole bunch of low-hanging fruit all over the place right now in crypto. And, as market veterans will attest, the charts always lead the way at major turning points. That’s why it may really pay to keep a keen eye on the evolution of major technical patterns over coming weeks. Today, with that in mind, we take a close look at NEO and XRP. The NEO chart could be working through the initial stages of a classic inflection. 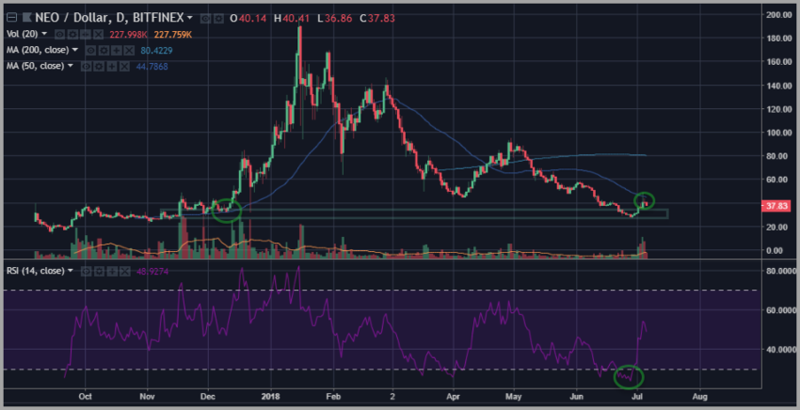 Crucially, this coin recently broke below its early April lows to precisely test the support level that defined its launching pad (at about $33) before the massive run we saw in December and January. As you can see in the chart above, that launch back in early December was defined by a base with support at a shallow but rising 50-day simple moving average. At this point, following a trigger at severely oversold levels for the 14-day RSI measure, NEO bounced off of that supportive shelf, shooting over 75% higher in several days to run into resistance at a now declining 50-day simple moving average. Note that volume in NEO has sharply risen doing this rebound as well, which is common at key inflections following long and drawn out corrective periods such as we have seen over recent months. The path forward from here, if we are carving out a potential inflection point on a larger time frame, would likely be next marked by a pivot at a level above its late June lows, creating an initial “higher-low” to serve as a catalyst for FOMO and chasing by traders on a subsequent breakout in NEO above that same 50-day moving average later this month. For traders focused on ripple, the drama is almost exclusively surrounding how XRP manages to handle its most recent test of key support in the zone that defined a powerful base formed back in early April. The key level is really a wide crayon-stroke zone with its heart at $0.45. The action in this coin toward the end of June slightly violated that level, where buyers appear to have stepped back in to push XRP back up to test the $0.50 level once again. It should also be noted that a Fibonacci retracement scale placed around the range defined by the breakout last fall into the upper bound defined by the April/May highs also logs a confluence of support at the key 61.8% level right around this same important zone at $0.45. If XRP manages to firmly hold and reestablish itself back above the $.50 level, and particularly if it does so on rising volume unrelated to a specific news event or headline, we would begin to feel a great deal more conviction about the near-term prospects for this coin just based on technicals alone. The post Do the Technicals Make a Fresh Case for NEO and XRP Exposure? appeared first on Global Coin Report. Next articleBitcoin Price Analysis – Three Times A Charm?